For me, I feel like this summer has been a season of facial mists. I’m not sure I’ve ever relied on a product more, but between priming makeup, setting my face, and cooling down in general, I’ve not been without a bottle of the stuff all summer. 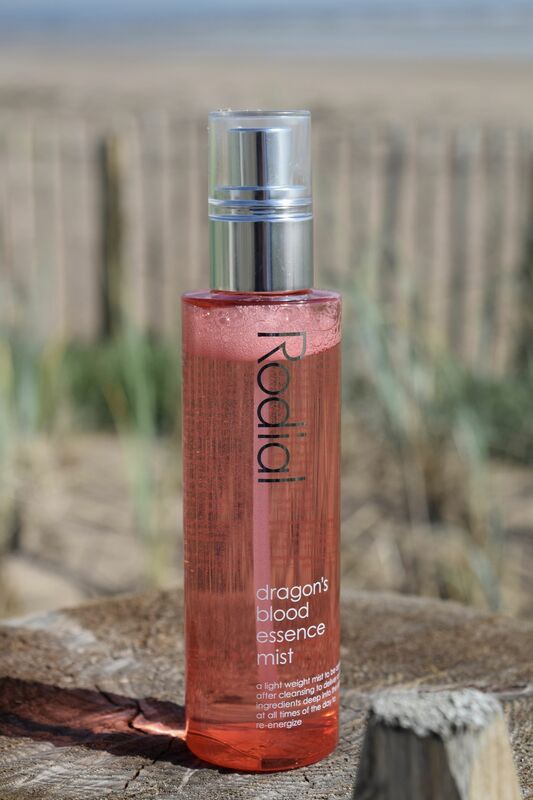 My newest acquisition is Rodial’s Dragon’s Blood Essence Mist – a brand new release from the brand which promises to act as a primer, a setting spray, toner and serum substitute. Genius! Inspired by Korean Beauty the Essence Mist provides skin with nourishing vitamins that are effectively drawn deep into the skin leading to smoother texture. Due to this, I love applying a light mist of the essence to clean skin, straight out the shower. I’ve also been keeping the bottle in my gym bag, so once I give my face a quick wash after working out, I spritz a little on before smoothing on a light moisturiser. For such a refreshing product, the formula packs a serious punch! The appearance of skin is improved by Chronocyclin which encourages cell turnover. 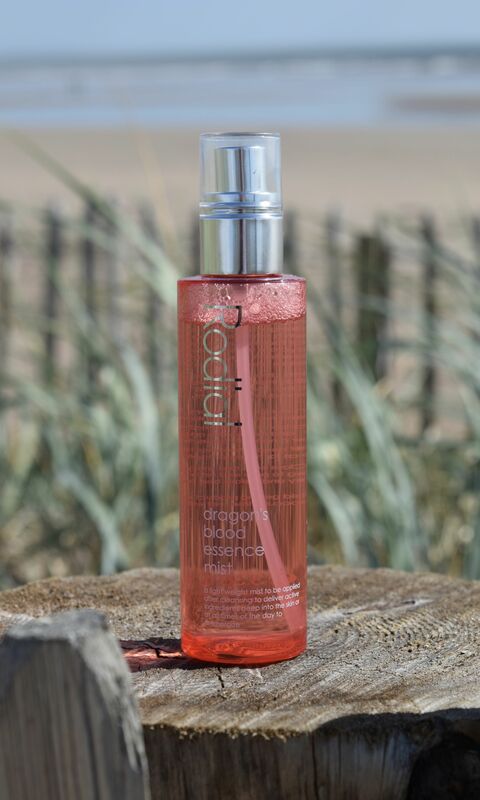 The famous Dragon’s Blood soothes, moisturises and replenishes skin, whilst Vitamin B boosts skins elasticity, supports collagen production, and reduces the appearance of uneven skin tone. 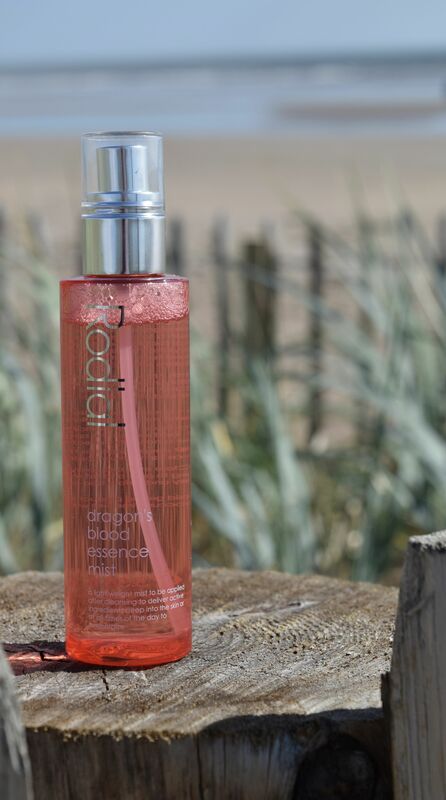 The Essence Mist also hydrates skin thanks to the Rice Protein which helps to instantly restore and balance dehydrated complexions and improves moisture retention. The Essence Mist feels so cooling and soothing to use, and one of it’s benefits is redness reduction – a must post-cardio!